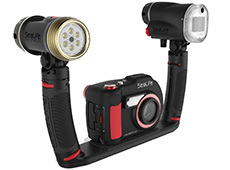 Perfect for shooting colorful underwater stills and HD video, the DC2000 Pro Duo comes fully equipped with the DC2000 underwater camera, Sea Dragon 2300 Auto light, and Sea Dragon Flash. 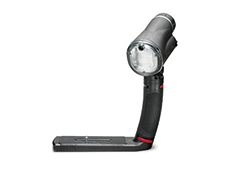 The versatile set gives the diver the ability to use the light and strobe simultaneously. 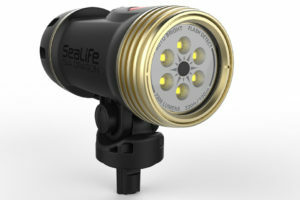 The Sea Dragon 2300 Auto Light features Auto Detect Mode that automatically turns off the light for two seconds when detecting an external flash. 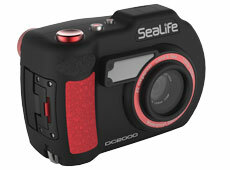 The powerful and universal Sea Dragon Flash can be paired with nearly all brands of underwater cameras that have an internal flash. The Sea Dragon Flash includes a diffuser that increases beam angle to 100° by 100°.